Dreams about adventures in the field shooting a hunting rifle or bow, putting a tag on a big buck or bull start at an early age and last a lifetime. Hunting and shooting sports are fun for the entire family at nearly any age. It is up to parents and mentors to help introduce kids to our heritage, helping to ensure the continuation of our time honored traditions and to create excitement in kids that translate into a thriving dedicated community of new hunters that are well equipped with outdoor skills, shooting fundamentals, hunting ethics and conservation principals. 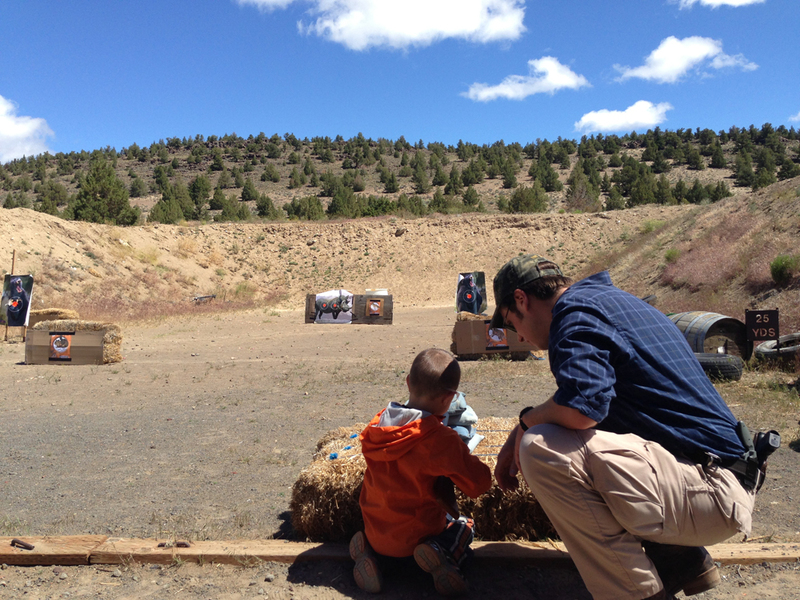 The FREE Annual Youth Safari Experience at the Central Oregon Shooting Sports Association range is a day of shooting and fun for the entire family. This year hosting 143 kids with a total of over 300 people including volunteers and parents. 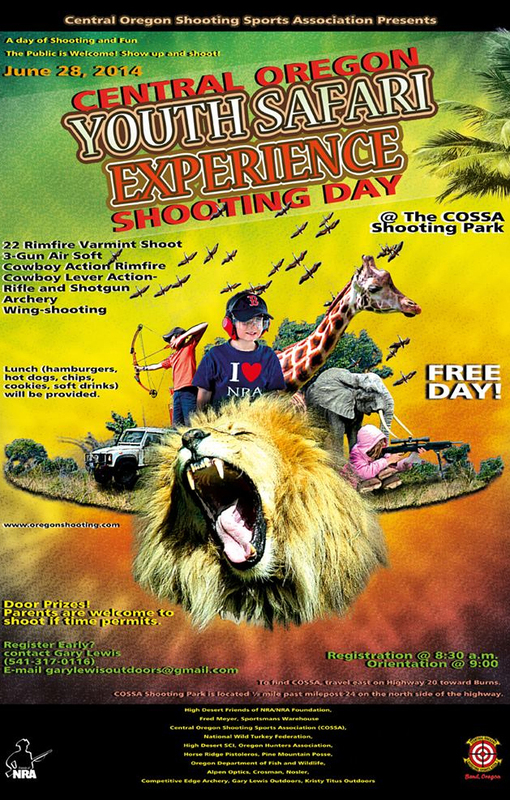 The event includes a 22 Rimfire Varmint Shoot, 3-Gun Airsoft, Cowboy Action Rimfire, Cowboy Lever Action Rifle and Shotgun, Archery, Wingshooting and the NWTF brought the Jakes Take Aim inflatable air gun range. Adults mentor kids in a hands on, fun, positive environment instilling a solid foundation of safety, etiquette and ethics, often times before kids have attended Hunters Safety. Many stories were shared of shooting success building self-esteem and confidence within each child. The kids had a great on the range while learning gun safety and shooting fundamental skills and ALL of the participants went home with a prize for attending. 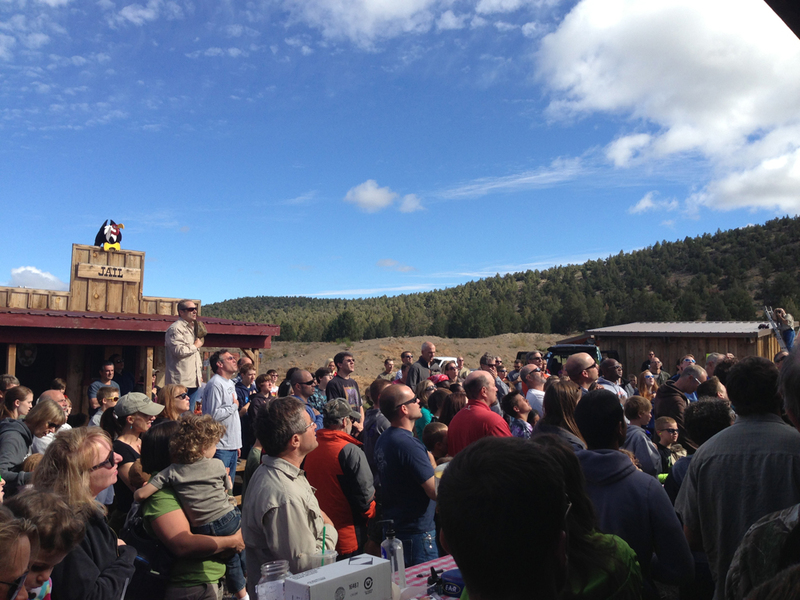 It is an honor to be part of our next generation of hunters and conservationists.